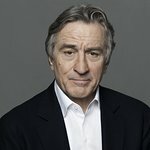 Charitybuzz just launched an amazing auction that offers you the chance to fly to Boston with Robert De Niro and go backstage at A Bronx Tale. The high bidder and a guest will fly NYC to Boston on a private jet with De Niro and A Bronx Tale’s Chazz Palminteri, attend a private reception with the two, receive two VIP tickets to A Bronx Tale with backstage access, and fly private back to NYC with Bob and Chazz. Truly amazing for a De Niro fan. 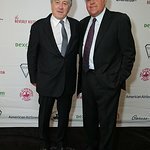 The auction is benefiting De Niro’s Tribeca Film Institute, an organization that has worked with Charitybuzz for many years to help raise unrestricted funds to empower and educate the filmmakers of the future. The auction can be found at Charitybuzz.com/ABronxTale.